Today we’re taking a look at another food that can deliver medicinal benefis. Brazil nuts, largely because of their high selenium content, have a huge impact on thyroid health & inflammation. Beyond that, they can improve sperm production & motility, increase HDL cholesterol and combat depression! Guess what? Brazil nuts aren’t actually nuts! They are seeds from a larger nut. I had no idea!! The nut looks a lot like a coconut and inside are encapsulated seeds – the things we consider brazil nuts! Tune in to hear who should eat some brazil nuts, who shouldn’t, what you want to look for when you’re buying them and how many is too many! New to Thrive Market? Make sure to register through thrivemarket.com/primalpotential so you can get free shipping and save an additional 25% on your first order! You’ll also get a free 30-day trial membership! 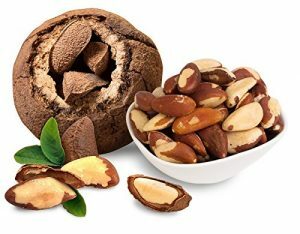 Are roasted Brazil Nuts as good?